Excellent training conditions in one of the most modern power hydraulic facility in Poland using workstations equipped in components manufactured by one of the biggest enterprises on the market such as PARKER Hannifin, BOSCH Rexroth, Manuli Fluiconnecto and PONAR. Workstations creating possibilities of installation (montage) and validation (checking operationality) freely compiled hydraulic sets with manual (conventional) and electrical control system. Training Complition Certtificate published by EMT Systems Training Center both in english and polish languages documenting knowledge and skills gained during the course. Many hours of practical exercises in the professional laboratories of hydraulic systems supervised by the experienced trainers. We offer trainings designed to meet your company’s specific needs. Numerous practical exercises, elaborate course materials and experienced trainers are the main advantages of our training services in the field of power hydraulics. Practical exercises with the real industrial devices. Excellent training conditions in one of Poland’s most modern laboratories of power hydraulics with workstations equipped with the components made by leading manufacturers: PARKER Hannifin, BOSCH Rexroth, Manuli Fluiconnecto and PONAR. Lab workstations enable the assembly and testing of conventionally and electrically controlled hydraulic systems. H8Servo-hydraulic drives: modeling, identification, control. 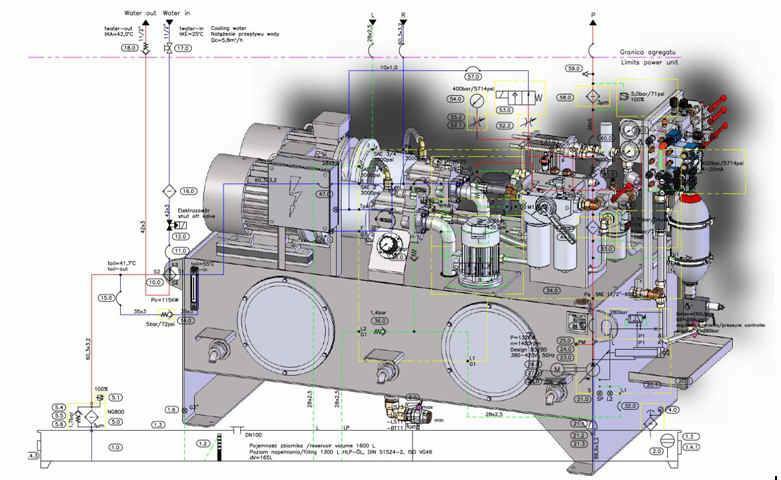 In addition to training services we also offer a wide array of Engineering services, including designing hydraulic power systems. Thanks to our experienced designers we are able to adapt to the specific needs of our customers. Projects implemented by our company are characterized by individuality and diversity, which results from operating in the field requiring adjusting to specific and unique requirements.